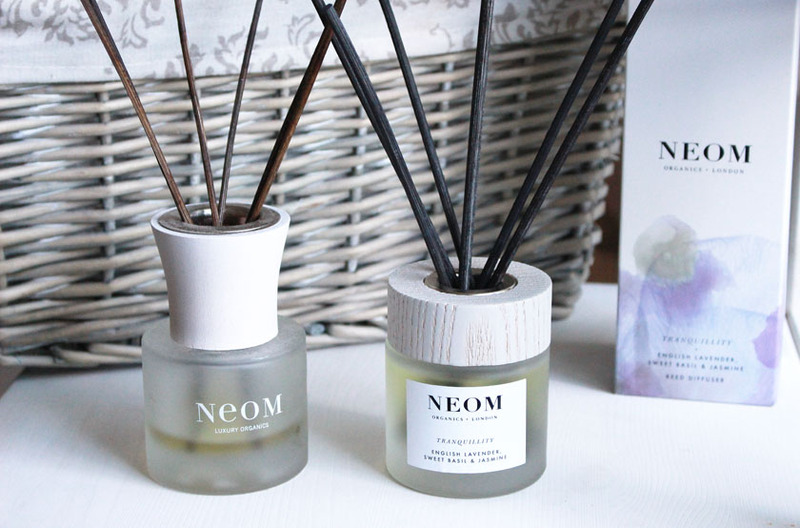 I am obsessed with Neom and I have their diffusers and candles in every single room. They recently launched new packaging and added some new fragrances to the range, which made me very excited. I am not sure what style of packaging I prefer to be honest. I like both. The diffusers and candles look different and you can currently get some limited edition jars, plus a smaller size for those who don't want to buy the more expensive 3 wick home candle. 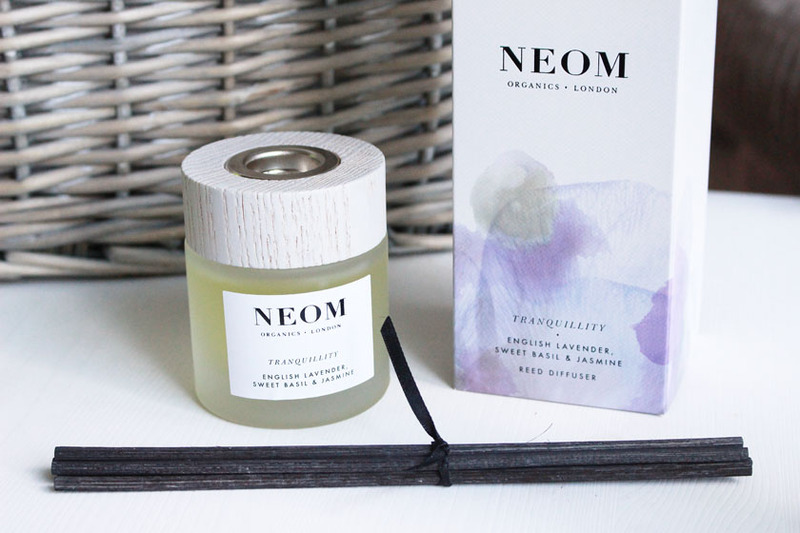 I was kindly sent the Tranquility Diffuser*(£38.00) - a new addition to the Tranquility range. I am a big fan of the scent and I use it in the bedroom to help me relax and de-stress. The fragrance is a blend of English lavender, Sweet Basil and Jasmine and I find it very calming and soothing. You get 6 reed sticks with your diffuser, but I am only using 3 at the moment to make the product last longer. The fragrance is really strong with just three sticks anyway, so that's what I would recommend if you treat yourself to one of these. As you can see, the packaging features frosted glass and wood, but the shape of the top is totally different. I think it looks more modern.